Kicking off the plenary session of the ASEAN India Commemorative Summit attended by the heads of state/government of all 10 ASEAN nations and co-chaired by Singapore Prime Minister Lee Hsien Loong, Indian Prime Minister Narendra Modi highlighted the issues of maritime security and connectivity with the South East Asian nations and alluded to the role of the Indian diaspora in developing closer ties. “The connectivity summit is an affirmation of the linkages that India shares with ASEAN through land, air, maritime, culture, civilisation and people-to-people relations that date back centuries. Information and communication technology will force new bonds of digital connectivity among us,” PM Modi said. He also spoke about the shared cultural and religious linkages the nations shared, citing the example of the Ramayana, which is a folk tale in many ASEAN members’ cultures. “People-to-people connectivity has been the foundation of our close ties for hundreds of years. 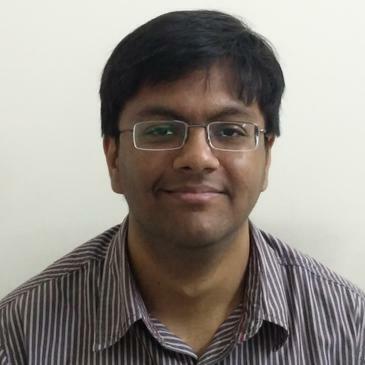 The Indian diaspora has settled far and wide in South East Asia. 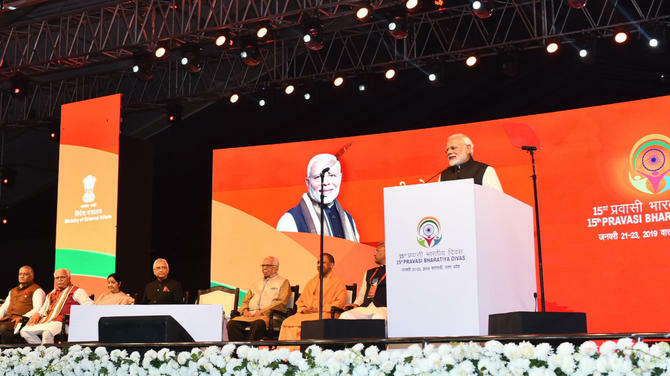 They are warmly accepted in their local communities Earlier this month, the ASEAN India Pravasi Bharatiya Divas in Singapore recognised their contribution in forging closer ties between us,” Modi said. 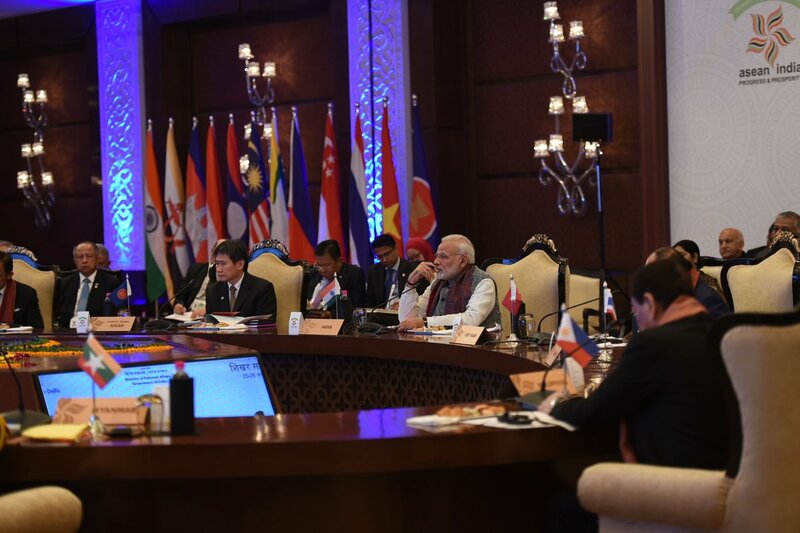 In tune with the summit’s theme of ‘Shared values, common destiny’, the PM emphasised that the USD 70 billion volume of trade with ASEAN had increased over 25 times in the 25 years since the body had formed a partnership with India. He also spoke about the evolving partnership between the two, especially over the last 15 years. 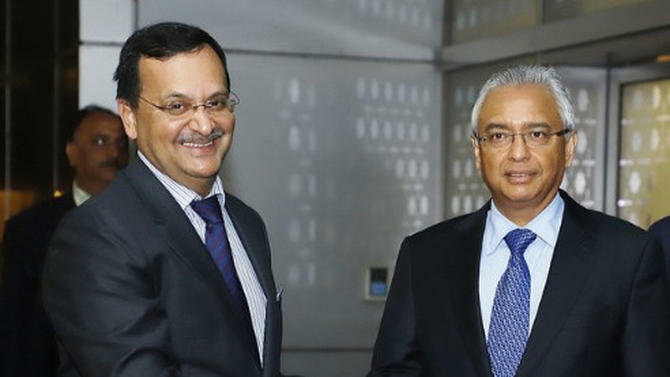 “We have made excellent progress in implementing the objective of the ASEAN-Indian partnership; peace, progress and prosperity through our five-year plans,” he said. Modi also proposed that dialogues and summits be set up to discuss digital financial inclusion and investment promotion, combating terror and infrastructure. Apart from offering to share the process of bringing rural areas in the less developed ASEAN member states under the digital umbrella in line with the Digital India initiative, Modi also offered them access to a training programme in telecom and networking technologies for their citizens. “Our friendship has been nurtured by our shared cultural and civilisation linkages,” he said. 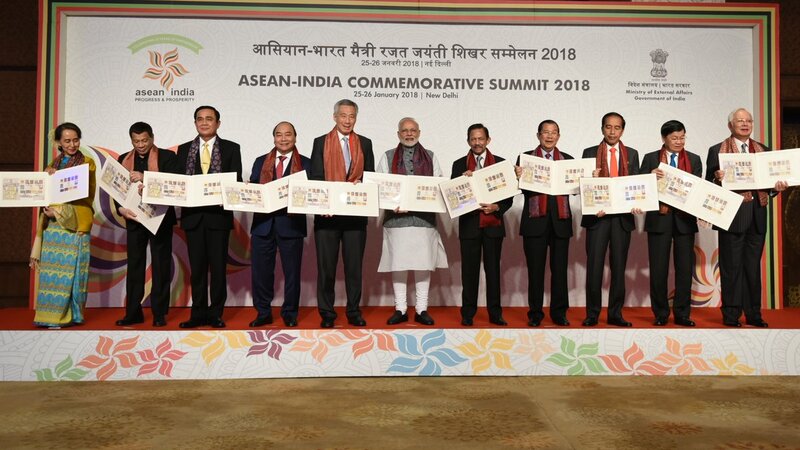 The PM summarised the series of events held during the preceding year to mark the silver jubilee of ASEAN-India partnership and also proposed a series of measures in the education, cultural, arts and business sectors to foster closer regional ties and exchanges.